Having previously looked backward into history as part of our examination of 1066, multiple award-winning author Annie Whitehead now brings us into even closer focus as we seek to make sense of this Conquest and all it has wrought. In so doing, we find we are not the only ones weighing the flood of events, actions, loyalties, what we say and what we do not. Could something have changed this deluge, could we have prevented it? Might we have escaped paying a price while remaining true? Or was it fated to happen, that we be swept up and carried along in meandering history, so like the wildest river Alvar speaks of with King Edgar? If we were to spy upon King Edgar, look at him from a (very) long-distance viewpoint, we would notice that, even compared to his contemporaries, he is short of stature. Perhaps his reputation is a little unremarkable, too. In a list of kings which featured Alfred the Great and Aethelred the Unready, Athelstan, he would barely stand out. Yet in many ways, he was the most successful king of the tenth century. Respected, loved, he never had to fight, not on the battlefield, anyway. He and his brother were orphaned at a very young age, when their father the king died and was succeeded by his brother, who then died young, and childless. The teenage boys grew up separately. One of them, the eldest, was profligate, and louche, and was deeply unpopular. The other was Edgar, who grew up in the house of the powerful earl of East Anglia, where he developed ambition, and learned the art of politics. He saw how to harness the power and strength of other men, and he decided he wanted a kingdom for himself. And since we’re having a peek, let me introduce Alvar (Old English name ‘Aelfhere’). He was Edgar’s right-hand man, helping him to secure a throne, and, much later, helping his son to secure one, too. He and his king are thinking about the years they spent together, when Alvar was earl of the powerful erstwhile kingdom of Mercia, dependent on Edgar for his position, while Edgar was dependent on the loyalty of Alvar, and the folk who lived on his lands. Edgar: You broke an oath to serve me. Alvar: I did. And it has been a cross to bear. But I saw a strength in you that I had not seen in your elder brother, whom I had sworn to serve. Some said his morals were lax, but my lord, I could say the same about yours. He was a weak man, and although it wasn’t fair what they did to him, it’s true that he was not fit to rule. He tried to buy the nobles, by giving them land. You seemed to understand what was required of a king. You respected the people you sought to rule. That was important to me. Edgar: Ah yes, the Mercians. A proud people. Alvar: But you recognised it as fact. Edgar: I did. I was nothing if not prudent. The Mercians and the Northumbrians were mainly of Danish stock by the time I came to the throne and I would have been mad not to acknowledge that. I knew I had to win their support against my brother, and I had to repay the debt. My policy was to keep everyone happy, with no reason to rebel. It worked. You all loved me. Alvar: We did. We didn’t love each other though, that was the problem. We, the lords, and your bishops, well, let’s say we found ourselves with different ambitions. Alvar: There was only ever one person who believed those rumours, and she should have looked at the evidence. Edgar: When you say ‘she’, do you mean my wife, or Helmstan’s wife? Alvar: You knew? Please say you never told him. I was never disloyal. I kept it secret, or so I thought. Edgar: You were never disloyal to anyone, and that was your failing, really. You served me and mine well and faithfully. I know how much you sacrificed to help me take the throne, to help me keep it, and I know how hard you fought for my son. Edgar: But even if they were done in your name, they were not done by you. Some of your enemies could have said the same thing, could they not? Edgar: Shall we speak of him with full honour, and accord him his title of Archbishop of Canterbury? Alvar: If you insist. The archbishop knew of many things, some done in his name, some done for his cause, about which he should not have kept silent. Edgar: Hmm. Perhaps you are right. So how would you sum up our story? Annie Whitehead is a history graduate and prize-winning author. Her first novel, To Be A Queen, is the story of Æthelflæd, daughter of Alfred the Great, who came to be known as the Lady of the Mercians. It was long-listed for the Historical Novel Society’s (HNS) Indie Book of the Year 2016, and it has been awarded a B.R.A.G. Gold Medallion and Chill With a Book Award. Her newest release, Alvar the Kingmaker, is a tale of intrigue, deceit, politics, love, and murder in tenth-century Mercia. It charts the career of the earl who sacrificed personal happiness to secure the throne of England for King Edgar, and, later, Æthelred the Unready. Alvar the Kingmaker is also a recipient of the B.R.A.G. Medallion. She has completed a third novel, also set in Mercia, and scheduled for publication in 2017. She has twice been a prizewinner in the Mail on Sunday Novel Writing competition, she won first prize for nonfiction in the new Writing Magazine Poetry and Prose competition, and she has had articles published in various magazines, on a wide range of topics. She is also an editor for the EHFA (English Historical Fiction Authors) blog. Most recently, she has contributed to the anthology of short stories, 1066: Turned Upside Down, in which nine authors re-imagine the events of 1066, and which has just been awarded HNS Editors’ choice and long-listed for Book of the Year 2017. She lives in the English Lake District with her husband and has three grown-up ‘children’. You can learn more about and follow author Annie Whitehead and her work at her website, blog, Twitter, Facebook and her Amazon author page. Click titles to purchase To Be A Queen, Alvar the Kingmaker and 1066: Turned Upside Down. For links to previous entries in our “950: 1066 Remembered” series, including reviews for To Be A Queen and Alvar the Kingmaker, click here. “Thin place” photo courtesy Annie Whitehead. My name is Annie; a few years ago, on my travels as a writer, I discovered an Anglo-Saxon lady. This lady really existed, but survived only as a footnote in history, and now I’m going to visit her. Every morning after my kids had gone off to school on the bus, I would walk along a green lane, which took me between fields. At the end of the lane there is a cluster of dwellings, and, just out of sight, an old farm. Midway along the path, the way is darkened by trees and it was at this point on my walks that I sensed a little of what some folk describe as a ‘thin place’ where the old and new worlds collide. This bucolic and slightly ethereal location became the basis for my fictional village of Ashleigh, the home of Káta, wife of Helmstan, and secretly loved by Alvar the Kingmaker, earldorman of Mercia. Today I am stepping through, metaphorically, into that other world, back to the year of AD963. I want to talk to Káta, and I have a message for her. I know a little about her daily chores and I think I know where to find her. She will be in the bake-house, supervising the kneading of dough for the daily loaves, or she might be in the weaving-shed, working one side of the big loom. Ashleigh means ‘the clearing in the ash grove,’ and the village is surrounded on most sides by trees. Most people live in, or near, the enclosure but some live out in the woods. The houses are all made of timber, with thatched roofs, but inside I am surprised to see that the main hall has lime-washed walls, and is insulated with embroidered hangings. She glances round, and I can see from the way her gaze sweeps from corner to corner that she is assessing whether her house is ‘presentable.’ This lady is very house-proud. She bids me sit down, and she stares at my feet. More precisely, at my boots. I always wear thick-soled walking boots when I come down the lane. She puts out a hand as if to touch them, and I am sorry that they are so muddy. She withdraws her hand. I look down at her leather, soft-soled shoes and I realise why she is so taken with mine. I smile. How we take these things for granted in our modern world; my shoes will last me for years, whereas hers will wear through incredibly quickly. Being a shoemaker must be a lucrative job in the tenth-century! When we have finished our drinks (she has given me wine; it’s too sweet, and I don’t drink in the middle of the day, but I don’t wish to offend) she will take me on a tour. November was blood-month, the time when the animals grown for food are slaughtered, and much of their summer produce has been preserved for the winter. Traditionally, they hang cheeses from the rafters – a hazard for tall people! She will need to keep a check on her personal store of dried herbs and plants, which are used for medicine. “Like meals on wheels,” I say. She shakes her head. Not in rebuttal, but in confusion. In winter, they do not do much sewing, for daylight hours are short, but she assures me that they do mend their linens. She is proud of her beeswax candles – no smelly tallow for this lady! Other things are purchased, such as crockery, and combs carved from antler. “I would dearly love to ride to Chester to buy some new cups,” she says. I was right when I thought that she was house-proud. She twirls her cup in her hands, but I notice she keeps her right hand hidden from view. She fiddles with a brooch. It is a present, she says, from her husband. It is enamelled, and she treasures it because it was a present from London, a place where she has never been. “Who is Alaska?” She holds out her hand, as if for a letter. I smile again. How to explain? In her world, only the written page, or word of mouth, can convey information. I am rather glad that we no longer have wolves in this country, but I keep silent. We walk past the wooden gate-house, no more than a viewing platform, really, and out onto a lane that is considerably busier in these times than it is in mine. Folk all know each other by name, and occupation, and there is much more of a sense of community than in the rural England in which I now live. Click here to see my review for the multiple award-winning Alvar the Kingmaker. Annie Whitehead is a history graduate and prize-winning author. Her first novel, To Be A Queen, is the story of Æthelflæd, daughter of Alfred the Great, who came to be known as the Lady of the Mercians. It was long-listed for the Historical Novel Society’s Indie Book of the Year 2016, and it has been awarded a B.R.A.G. Gold Medallion and Chill With a Book Award. Her new release, Alvar the Kingmaker, is a tale of intrigue, deceit, politics, love, and murder in tenth-century Mercia, and is available now. It charts the career of the earl who sacrificed personal happiness to secure the throne of England for King Edgar, and, later, Æthelred the Unready. Alvar the Kingmaker is also a recipient of the B.R.A.G. Medallion, Discovering Diamonds Special Ward and Chill with a Book Readers’ Award. Most recently, she has contributed to the anthology of short stories, 1066 Turned Upside Down, in which nine authors re-imagine the events of 1066, and which has just been awarded HNS Editors’ choice and long-listed for Book of the Year 2017. She lives in the English Lake District with her husband and has three grown-up ‘children’. So relates Káta to husband Helmstan, simultaneously telling part of a new story as well as filling in a bit the bridge between the days of King Alfred the Great and his daughter, and their now, here in Annie Whitehead’s second novel, Alvar the Kingmaker. Her debut, To Be A Queen, is Æthelflæd’s story of loyalty, identity, the determination to act upon what is right for self and one’s people, and how those people took her as their own and called her their lady. Now, however, Mercia has been absorbed into the Wessex kingdom, and time has marched forward: new generations, new rivalries, new threads that loosely wend their way in to form new models of a society growing away from its past. As a reader who had hungrily consumed Queen, I found myself greedy for this next book, even though I knew nearly half a century comes between the two eras, that Æthelflæd would not appear in it. Nevertheless, she does touch the story, as the Mercians, indeed the even more ancient Hwicce tribe, yearn for their centuries-old identity, past days and the rights enjoyed at that time. Whitehead brings this to life as she introduces the warrior Alvar, who grows into his status as a statesman following a broken oath and crowning of a new king, the above-mentioned Edgar. 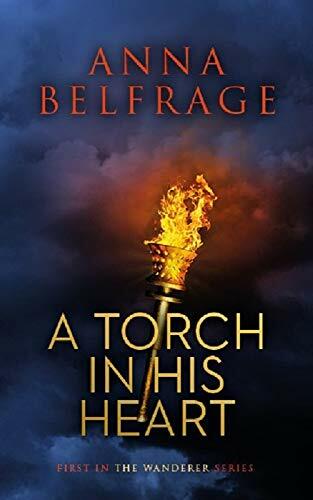 Her tale brilliantly takes us through the years of Alvar’s close friendship with his deputy Helmstan, and the secret love he holds for the man’s wife. During these years he also must do battle with church leaders who play ungodly hardball, unafraid to bring harm to the innocent, who unwittingly wander into their sights, as they seek to destroy Alvar, seize his lands and render him irrelevant. When civil war erupts, he finds he must make his way past accusations of regicide and the future under a king whose weakness endangers the land against Danish military raids. There is something unreal about witnessing the birth of Æthelred’s reign, knowing as we do about the choices he is to make that will link to future claims and pave the road toward the most important year in English history. Whitehead’s prose conveys these realities, though with a storytelling brilliance that captures my reader’s heart as well as the individuality of the people who actually lived this time. Utilizing historical details, the author weaves their tales, revealing their dimensions beyond mere residency, instead showing us what matters to them. Entwined within are the many ways people live and love, heartbreak that ensues and choices they make that on occasion affect many others. Like vines creeping across brick walls, the moments within these lives intersect and influence the scenes and events of Alvar the Kingmaker, and Whitehead’s prose is as lyrical as we have come to expect it to be. Like poetry in bloom, flowering into a prose that flourishes across her pages, it subtly wends its way in ordinary moments as well as highlights passages in a fashion that causes one to stop and read it again—best aloud. Káta partially closed her eyes against the sun, and looked through rainbow-lashes at the brightness. Away near the woods, the incessant triple hoot of the wood pigeon announced that full summer had arrived, while beyond the mill the rising laugh of the curlew marked the way to the estuary, but, beside them, the downward slope of the riverbank offered shelter from the breeze, and the loudest noise here was the gentle chatter of the water. As the flowering poetry-prose makes its way among the pages, Whitehead carries us across the scene, visiting each small moment as we gracefully flit from point to point, exhilaratingly experiencing the beauty of the moment and the sweetness of summer as Káta encounters it as part of her world. The author gives us glimpses and insight into much of Káta’s world, even parts of it she herself is not privy to, as we traverse time and geography to understand the linkage between the events within this time and as they will later relate to other important episodes. Alvar’s fealty to his king cannot prevent the direction of time’s march, however, and that surrealistic sensation of hovering above history, witnessing it unfold unleashes a flurry of questions and possibilities loosed by the winds of change that gust through the pages of the book, in the end reminiscent of Henry’s last leaf, clinging to the vine, an indicator of strength so long as it remains tethered to its host. We know, for example, that Æthelred will later wed Emma of Normandy in attempt to pacify Viking raids with a unity between England and Normandy. Their son, the future King Edward the Confessor, however, will die childless, opening the way for a storm of claimants and the end of a dynasty. Is Edward the last leaf, the one torn from its root as the seasons inexorably must change? Or does his youth, largely spent in Normandy and perhaps laced with loyalty to his mother’s land, coincide with the timing as “[t]oo many things have come loose that cannot be tied together”? Whitehead does not actually bring her story as far as Edward’s reign, though it is nearly impossible not to think about what the future beyond Alvar and Káta holds as they themselves live as part of the bridge between the days of Alfred and Edward. By their time, yes, Alfred’s daughter Æthelflæd is long dead and gone, her daughter’s fate not entirely certain. Nevertheless, she is their heritage as they will one day be someone else’s. Exactly how they get there remains to be seen, however, as Alvar rises in his position as a statesman and loves not only Káta, but also another. The road that leads this other to him, like other events, helps determine history, but we also live through more personal trials with the characters, an omniscient narrator cleanly carrying us from perspective to perspective, smooth dialogue coursing through the pages like Káta’s water as its presence fertilizes and grows the life within its words. Whitehead also makes this sharper with her habit of assigning nicknames or slightly modernized versions of Anglo-Saxon names to her characters. Perhaps the best part is that the events are based on the lives of real people, and so as we think back to Káta’s moment in the sun excerpted above, it is difficult not to be awed by the author’s ability to transport us—really making us feel as if we are there—a thousand years back to a time that determines our own, and the people who made it all move. A poignant, sometimes humorous, masterfully-told tale of the life of a man dedicated to his country, Alvar the Kingmaker is a must-read in the growing collection of an award-winning author whose name is solidly linked to quality historical fiction and enlightening Anglo-Saxon studies. 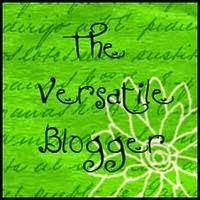 Stay tuned for some follow-up guest posting from multiple award-winning author Annie Whitehead. A copy of Alvar the Kingmaker was provided to the blogger in exchange for an honest review. Today author Annie Whitehead joins us with some fascinating background into the kingdom of Mercia, following the eras in which she writes, those of King Alfred the Great and its succeeding generations with Æthelred and Æthelflæd (Lord Ethelred and Lady Aethelfaed), and Edgar, all of whom appear in her award-winning novels, To Be A Queen and Alvar the Kingmaker. Earls Edwin and Morcar, too, spoken of below, are the focus in “A Matter of Trust,” the author’s contribution to 1066: Turned Upside Down. Though even the latest of her characters lived a century before the Conquest, Whitehead succinctly illustrates the interconnectedness of their lives to the drama and horror of the invasion and its aftermath. In so doing they connect to us, we who look back upon those who conquered and those subject to the calamity and tragedy of these events that had their roots in episodes long before the arrival of the year 1066. As we peer back into history, we wonder what they saw when they did the same, these individuals and groups simultaneously forced to stare into the future within events of their present. We know a bit of what they did, though of course they knew much more, most of which has been lost to us, or buried as it awaits re-discovery and the brushing off of earth, of questions triggered by connections here too, between what is known and that newly found. Today Annie Whitehead connects for us many of these puzzle pieces into a broader image that brings greater understanding of how the inhabitants of 1066, how their history mattered to them, and their personal experiences matter to us. Mercia. Once a kingdom, now a distant memory, preserved only in certain names: The West Mercia Police, the West Mercia Primary Healthcare Trust, and although it is now slowly dying out, the dialect of the ‘Black Country’, which is based on the old Mercian language, and is widely regarded to be as close to Old English as it is now possible to get. At its peak, it was ruled by such famous people as Offa, who was considered an equal to the Emperor Charlemagne. As readers of To Be A Queen will know, it was indispensable during Alfred the Great’s battles against the Viking invaders, when first the Lord Ethelred and then his wife, Aetheflaed, daughter of Alfred, fought the invaders, and built strategically important ‘burhs (fortified towns). But yes, sadly they were Lord and Lady of the Mercians. Mercia had run out of kings. It emerged, briefly, as a significant force during the middle part of the tenth century. A succession of West Saxon (Wessex) kings had died young and/or childless. In 955, when King Eadred died, the throne passed to the eldest of his two young nephews, sons of the previous king. The first of these boys was Eadwig (Edwy) who started off his reign by rocking the nation with a scandal, having been allegedly caught in flagrante delicto on his coronation night with his wife. And her mother! For many reasons he was not a popular king, and his younger brother, who had grown up in the house of the powerful earl of East Anglia, hankered for a kingdom. This younger brother was Edgar, and at around the age of 14, he rose up in rebellion against his brother. He had the backing of the East Anglians, and now he needed the help of the Mercians and the Northumbrians. Much as the Lord and Lady of the Mercians had fought them off, inevitably some of those invading Vikings had stayed, and settled in these midland and northern kingdoms. Edgar was canny, enlisting their support and allowing them to live according to their own laws. For two years there were two separate kingdoms, until Eadwig died suddenly, aged 19, and Edgar became king of all England. Mercia was once more relegated to being simply an earldom, albeit a powerful one. At one point Edgar made direct reference in a law code to his three leading earls, and Alvar was one of those men. Mercia and the north maintained a sense of separateness from the south, a partisan sentiment that was to mar relations even as far as 1066. Mercians made their mark on history after the period which I wrote about in Alvar the Kingmaker. Most people have probably heard about Lady Godiva, for example. Perhaps less so the rest of her family, who found themselves, 100 years after the time of Edgar and Alvar, in direct conflict with the powerful Godwin family. 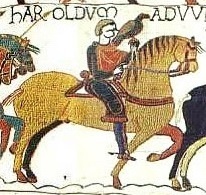 Godiva’s son, Aelfgar, was twice driven into exile because of them, and Aelfgar’s daughter was widowed when Harold Godwinson caused the death of her Welsh husband. When Aelfgar’s sons, Edwin and Morcar, became earls respectively of Mercia and Northumbria, the family was in the ascendant. In 1066 Harold Godwinson felt it necessary to ride north and ask for their support for his kingship, even taking their sister, the woman he had widowed, as his wife. Edwin and Morcar were, seemingly, unassailable. But they lost the battle at Fulford, just outside York, when they were overpowered by the forces of Harald Hardrada and Tostig Godwinson, and got to the south too late to enjoin with Harold at Hastings. And so they needed to make their peace with a certain William of Normandy. Was it so easy? Were they really willing to capitulate to the Conqueror? In 1068 a series of rebellions began, of which Edwin and Morcar were leading members. William had not managed to assert his royal authority in Mercia and Northumbria and it took a royal campaign into Mercia to secure a surrender. The brothers were restored to favour. But the events of 1068 were merely a ‘prologue’. Eadric the Wild was pardoned, and Morcar retreated, along with that famous man from folklore, Hereward the Wake. But Morcar fared less well than Hereward. William launched a campaign into the Fens and Morcar surrendered. He was incarcerated in Normandy, and it’s likely that he died in prison. The brutal putting down of the English rebels came to be known as the Harrying (or Harrowing) of the North. And that was the end of Mercia. Of course, the place itself still exists – and is rich in historical sites. Little survives of the Anglo-Saxon era, but in this it is no different from anywhere else. The Saxons favoured wooden buildings, which don’t survive. These days the medieval ruins are of the stone buildings of the conquest, built to intimidate. Click here for my review of Alvar the Kingmaker. Her new release, Alvar the Kingmaker, is a tale of intrigue, deceit, politics, love, and murder in tenth-century Mercia, and is available now. It charts the career of the earl who sacrificed personal happiness to secure the throne of England for King Edgar, and, later, Æthelred the Unready. Alvar the Kingmaker is also a recipient of the B.R.A.G. Medallion. To Be A Queen and Alvar the Kingmaker are both B.R.A.G. Medallion recipients, with Queen claiming the additional prize of Chill With a Book Award, and appearing on the long list for Historical Novel Society Indie Book of the Year, 2016. Today Annie Whitehead, award-winning author of To Be A Queen and Alvar the Kingmaker, takes up the reins with a lovely guest post, giving us a bit of background as to how she came to the world of the Mercians …. In the last piece, I was ‘chatting’ to Lord Ethelred of Mercia, and he asked me how I first ‘met’ him and his wife. To Be a Queen came about because of a single sentence. My university tutor said of Ethelred of Mercia that “Nobody knew exactly where he came from.” I suddenly had a vision of this guy riding onto the pages of history out of some unknown hinterland. I wanted to write his story and, in a way, I have. Although of course the real story was that of his wife: daughter of a king, wife of a man with the powers of a king, a woman who led her army into battle against the Vikings. Aethelflaed was born around AD869 – we don’t know where – and was the eldest child of Alfred the Great of Wessex, and his wife, who was a Mercian princess. It’s thought that Aethelflaed spent some of her early years in Mercia. At this time there were essentially four Anglo-Saxon kingdoms: two of them, Northumbria and East Anglia, had already been overrun by the Danish Vikings and now those invaders were pushing at the borders of Mercia in the midlands. Mercia could not hold them off, caught as it was in a succession dispute. Onto the pages of history, seemingly from nowhere, rode a nobleman called Ethelred, who was determined to re-establish Mercian independence. Ethelred entered into alliance with Alfred of Wessex who gave him his eldest daughter, Aethelflaed, in marriage, probably around AD887. Although we don’t know the precise age of either of them, it is safe to assume that Ethelred was the elder of the two, by some distance. This cannot be imagined as anything other than a political marriage. Aethelflaed was a ‘peace-weaver’, and this could so easily have been another tale of a woman, married off, and quietly slipping between the pages of the chronicles. The alliance between Mercia and Wessex held but, from AD902 onwards, Ethelred is no longer mentioned riding out into battle. We don’t know why; he continued to witness charters, so something was stopping him from fighting, but not from leading. AD907 found the Mercians defending Chester from a Viking siege. It was not another lord who took Ethelred’s place, but Aethelflaed who directed proceedings. An Irish chronicle has her fighting back with swarms of bees, which is more than likely just a tale, but fun nonetheless. The Irish came to regard her as a queen, as did the Annales Cambriae, the Welsh chronicle. After Ethelred’s death, no new male ruler was appointed. Edward (Aethelflaed’s brother, who was by this time king of Wessex) allowed his sister to retain control of Mercia. Let’s consider what a unique story this is. In a time of almost perpetual warfare, a country and its neighbouring king were content to allow a woman to lead, even into battle. Whether or not she actually wielded a sword in anger, this is still remarkable. And yet, it was not remarked upon. There are many stories to be found within Anglo-Saxon history. This was a society which produced the most exquisite artwork – the Lindisfarne Gospels – and the most intricately worked jewelled weaponry – the Staffordshire Hoard – hundreds of years before the period in which Queen is set, and had a sophisticated system of government. My characters are not the inhabitants of Middle Earth. They are not mystical, magical or mythical, but rather they are medieval. The Anglo-Saxons were very real, but I still needed to know how they lived. I immersed myself in my Early Medieval world, finding out about looms, textiles, cooking methods, flour production, and I even learned how flammable flour dust can be (a fact which served me well in one particular passage in Queen). But research isn’t the only thing required: you have to decide where along the historical time-line to begin and end your tale. I decided that I needed to tell Aethelflaed’s whole life story; I think we are all a product of our childhood experiences, tempered by the wisdom gleaned from experiences as an adult, and I felt that we needed to know about her upbringing and the times she’d lived through if we hoped to understand how she came to be famous, and yet, bizarrely, forgotten. It appears that the Mercians were happy to let a woman lead them, and not even a native one at that, so it must, in part, have been down to her personality. She was a special woman. So why is she not better known? I think there are two reasons: in fiction, the Anglo-Saxon age has suffered a little on account of those unfamiliar and difficult-to-pronounce names. In terms of non-fiction, history is written by the victors. No, not the Vikings, but the kingdom of Wessex. Mercia ran out of kings and, after Aethelflaed’s ‘rule’, a merger was inevitable. Our greatest source of information, the Anglo-Saxon Chronicle, was commissioned by Alfred the Great and written by monks of Wessex. Mercia was never going to get top billing. Still, I had to make sure not to place my modern values on my character; she needed to live and work in her own world. Aethelflaed is a strong-minded woman, yes, but in writing her, I had to keep her firmly rooted in her early medieval environment. She’s a woman in a man’s world, but she’s not what we would recognise as a feminist. Shortly before her death, delegates from the kingdom of York made an appeal to her for aid against the Norse armies of Ragnall. They had heard, as we do in the book, of her steely determination and single-mindedness. Stay tuned as “The Age of Æthelflæd: Anglo-Saxon Warrior Queen” continues next week with an excerpt from Annie Whitehead’s To Be A Queen. Annie Whitehead is a history graduate and prize-winning author. Her first novel, To Be A Queen, is the story of Æthelflæd, daughter of Alfred the Great, who came to be known as the Lady of the Mercians. It was long-listed for the Historical Novel Society’s Indie Book of the Year 2016, and it has just been awarded a B.R.A.G. Gold Medallion. Her new release, Alvar the Kingmaker, is a tale of intrigue, deceit, politics, love, and murder in tenth-century Mercia, and is available now. It charts the career of the earl who sacrificed personal happiness to secure the throne of England for King Edgar, and, later, Æthelred the Unready. Alvar the Kingmaker is also a B.R.A.G. Medallion honoree.